It doesn’t seem like much until moving day. Then you wonder how you got such a large wardrobe! Moving clothing can be difficult when it’s not packed properly. But with these tips, your clothing will be packed professionally and come through moving day tidy, fresh, and ready to hang in your new closet. First, purge your closet and drawers of outdated or wrong-size clothes. That means there’s that much less to move, and your clothes suddenly have a lot more breathing room. Have a small suitcase with a pair of pajamas, toiletries, and the next day’s clothes all set to go. You’ll be pleased with your foresight the first night in your new home. You’re not moving empty luggage, right? Suitcases are a great way to clean out the dresser drawers, since those items are folded anyway. A jumble of shoes can damage your dressier footwear, so use some care here. You can wrap shoes in paper or make shoe lasagna: a layer of shoes, then a sheet of cardboard, and repeat. This is a handy way to move purses, too. Wardrobe boxes are a little pricey, but they can be saved and used for storage, and they do a great job of keeping hanging items in order and wrinkle-free during your move. They’re especially great for dry-clean-only clothing. Don’t over-pack—the boxes will be heavy and clothes will suffer. Light items such as pillows and scarves can fill any extra space in your wardrobe box. This is easy and works well for clothes you plan to move in the back seat of your car. Take a large garbage bag or leaf bag and lay it flat. In the center of the bottom end, cut a 3-inch hole. In your closet, section off a small number of clothes with hangers—10 or 12 will do—and slip the open end of the bag over. The small hole allows the hangers to poke through. Tie off the loose bag below the clothes. Now you can carry your clothes by their hangers and they will stay clean. You’re packed! Your clothes should be organized, clean, and ready to unpack in your new home. For help with packing/unpacking, storage options, moving boxes and other packing supplies, we have lots of those too. 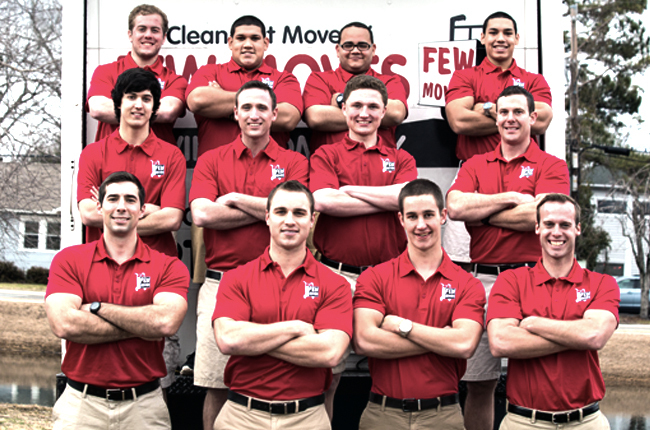 Few Moves is a fully licensed and insured professional moving company that wants to make sure your move go as smoothly as possible. 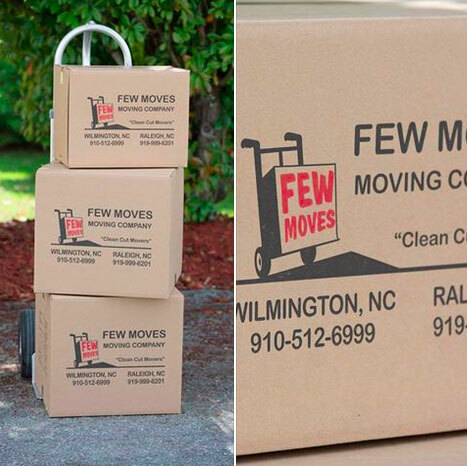 Call our Raleigh office at (919) 999-6201 or our Wilmington office at (910) 512-6999 or request a free quote online for all your moving needs.